The new Brixton Pound mobile app, developed by startup Dingo, will be available for iOS device users from the beginning of July for use at all the 250 businesses that currently accept the local currency. An Android version is due to follow “later this summer”. 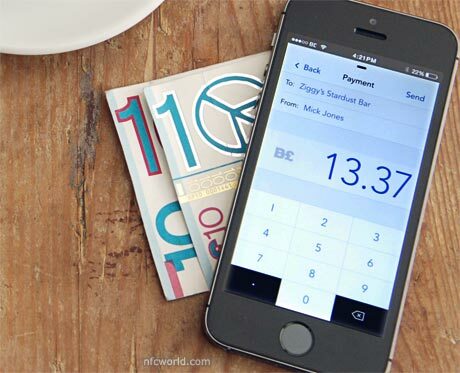 Introduced as a paper-based currency in 2009, the service now also offers a mobile pay-by-text version that is used by “thousands of active users” and forms the basis of the new Bluetooth LE service. To use the pay-by-text service, both merchants and customers have to sign up with Brixton Pound and register for an account. Once registered and validated, consumers transfer funds into their Brixton Pound account and can then make a payment in participating stores by sending a text to Brixton Pound. The text needs to start with the word ‘pay’, followed by their personal PIN code, the name or username of the business they wish to pay and the amount of the payment they wish to send. Shoppers then receive a confirmation text letting them know that the payment has been made and the merchant also receives a confirmation text informing them the payment has been made. With the new Brixton Pay mobile app and Bluetooth beacon network, each customer’s Brixton Pound account will be linked to their app and they will then be able to enter a business and make a payment using location information provided via BLE. Consumers will also be able to set up a Bristol Pound account via their smartphone and top up funds on the go. Businesses will also be able to create their own content and communicate this directly to users of the mobile app. “There are about 250 businesses at the moment accepting the Brixton Pound and of those 250, there’s just over 150 that are taking pay-by-text,” Mehul Damani, operations manager at the Brixton Pound, told NFC World+. “The notes are still being used but not quite as extensively as pay-by-text,” Damani continued. “Pay-by-text has been up and running for more than two years now and we were at a point where we realised that, although it’s a lot more convenient than physical notes, we wanted to make it even easier for people to use and more convenient for people to use and that’s where the app comes in, essentially.